Don’t know what to get the fisherman in your life? A Pacific Angler gift card is the perfect way to share the love of fishing. Available in any denomination and redeemable for store product, classes or guided trips. 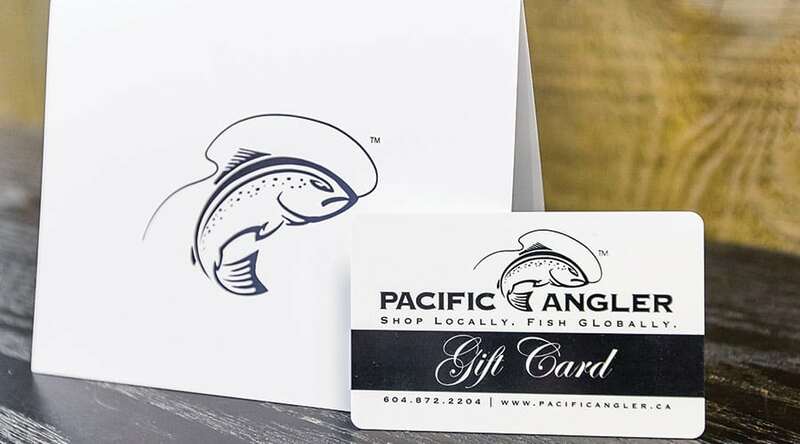 Gift Cards are redeemable for products or services purchased at pacificangler.ca, by phone, or at our retail stores. They cannot be redeemed or exchanged for cash. Your Gift Card is freely transferrable and should be safeguarded like cash. Replacement cards will not be issued for lost, stolen, or damaged cards without a receipt of purchase. Replacement cards will not be issued if the card balance has been redeemed. If the total of your purchase is less than the value of your Gift Card, you will be able to use the remaining balance for future purchases. If the total value of your purchase is greater than your Gift Card balance, you must provide your credit card details, debit card, cash, or other accepted method of payment to cover the balance.